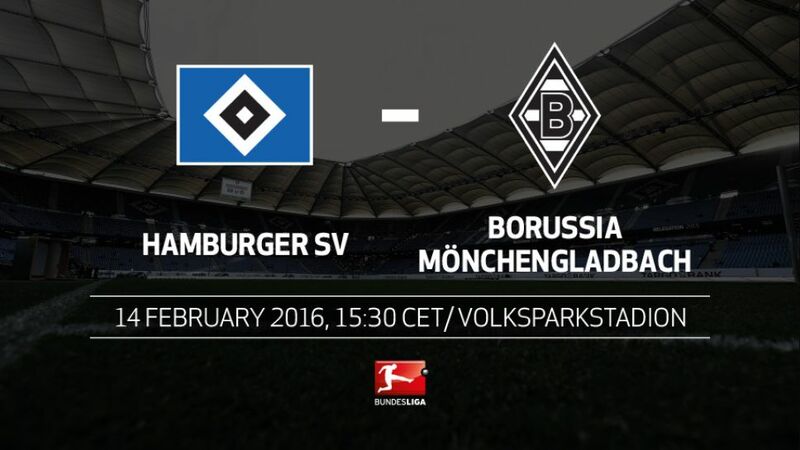 It may be Valentine's Day but there will be no love lost when Hamburger SV go in search of their first league double over Borussia Mönchengladbach for 20 years when the two sides meet at the Volksparkstadion on Sunday (kick-off 15:30CET/14:30GMT). The home side, who were held to a draw by 1. FC Köln on Matchday 20, were 3-0 winners away at Gladbach back in September but have only claimed one win in the last six games at home to the Foals. Gladbach, meanwhile, returned to their prolific best in their last outing, hitting five past SV Werder Bremen. The Foals had made an inauspicious start to 2016 but have not scored this many goals after 20 matches since the 1994-95 season, and will be confident of continuing their push to finish in a UEFA Champions League spot. Gladbach have already scored 40 goals, which is their highest total at this stage of a season since 1994/95.Hamburg are winless in their last six, taking just two points in that period.Granit Xhaka will return to captain the Foals. With him as captain, Gladbach have averaged over two points a game, compared to less than one without him.HSV, meanwhile, are without their own suspended skipper, with Johan Djourou missing a Bundesliga game for the very first time in his career.Hamburg won the first meeting between these two sides on Matchday 4. They last did the double over Borussia back in 1995/96.The Redshorts won the first meeting between these two sides on Matchday 4. They last did the double over Borussia back in 1995/96.Hamburg’s 3-0 win back in September was Lucien Favre’s final home game in charge of the Foals, as well as HSV’s biggest win this term.HSV’s Josip Drmic will be facing his parent club, for whom he scored just once goal in 13 appearances.Aaron Hunt scored his first two Bundesliga goals against Borussia and debuted for HSV against the Foals.Hamburg have won just one of their last six home games against Gladbach, a 1-0 win in February 2013.Bruno Labbadia has won his last three games against Gladbach as a Bundesliga coach.